The tech isn't the problem. Greed is. Widespread automation has the potential to amplify existing income disparities and produce an unparalleled level of economic inequality. As artificial intelligence (AI) improves and algorithms get more advanced, automated systems can replace more of the workforce, meaning fewer people are needed to generate the same (or greater) amounts of wealth for those at the top. If technology advances far enough, traditional labor may be rendered obsolete. 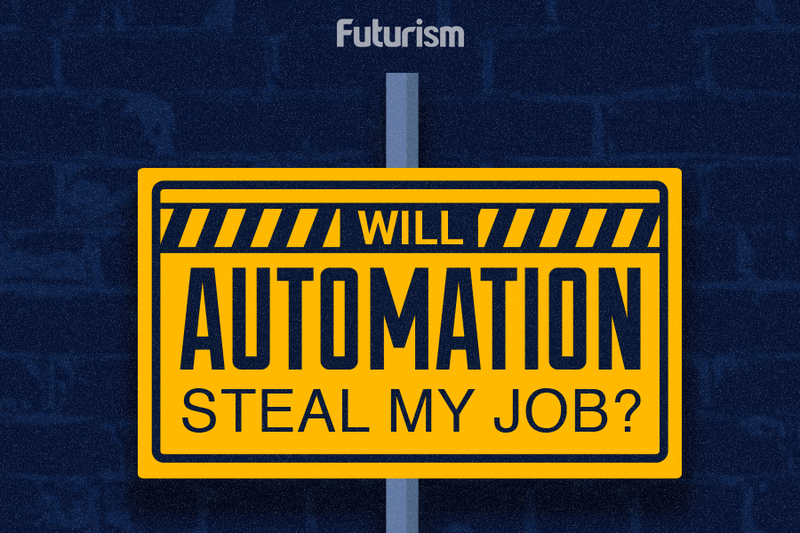 The advancement of technology has never posed quite such a threat in the past as automation has traditionally created new jobs as it replaced old ones. The Guardian cites the example of bank tellers. ATMs appeared in the 1970s, but there are more human tellers now than back then. Today’s tellers do more than dispense cash, though; they sell financial services and provide advice. However, the ATM example may not apply as AI improves. If ATMs can dispense cash and advise customers about their mortgage options, too, banks may not need human tellers. This situation only matters if the ownership of wealth is limited, and at this point in the U.S., it is. Right now, unless you own capital, what you have is your wage. Unfortunately, although productivity has improved since the 1970s, wealth has moved toward ownership and more capital, not wages. Wages and labor are the only source of wealth for most people, and they are also one of the only ways workers can assert themselves in the workplace and advocate for change. If automation renders labor redundant, labor as a source of wealth and power in the workplace will evaporate. The very wealthy are not likely to be affected by any of these changes. It’s the people working in industries like transportation, insurance, medicine, and customer service that will be hit the hardest. The Bureau of Labor Statistics (BLS) reported that more people worked as retail salespeople (4.5 million) and cashiers (3.5 million) in May 2016 than any other occupation. Another 4.6 million people were working in transportation and warehousing as of 2014. Clearly, huge portions of the workforce will be affected by the presence of AI, but this disruption will not have a negative effect on the wealthiest people in the world. The real issue here isn’t the tech itself — it’s the widening gap between economic classes and the incredible poverty it will cause, not to mention the erasure of the working class. Thankfully, there are several proposed solutions to this potential crisis of equity that don’t require slowing down technological advancement. They include universal basic income (UBI), a tax on robots that replace workers, and job guarantee programs. UBI has been subjected to heated debate, but many, including Bill Gates and Elon Musk, believe it will be feasible in the near future. Former President Obama has also acknowledged that UBI will need to be seriously discussed within the next 10 to 20 years. Bill Gates and others have argued that robots that replace human workers should pay taxes — or, more accurately, that their owners should. This would place the existing wage burden back on the wealthy and provide money into the “pool,” which could then be used for UBI or education for workers to take on the new jobs that automation creates. These taxes could also fund job guarantee programs. Job guarantee programs through the government would guarantee a living wage for anyone doing public sector or non-profit work (depending on the program). This is similar in theory to 1933’s Works Progress Administration program. It also shifts the power away from private owners of wealth, who can demand that workers do whatever menial tasks they want at wages they set, and allows people to do anything from teaching to environmental cleanup for a decent wage. With the National Bureau of Economic Research reporting that the wealthiest 1 percent of U.S. households held roughly 42 percent of the country’s wealth in 2014, we can’t afford to let automation further widen the gap between the haves and the have nots.